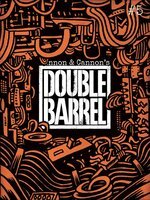 News / Double Barrel gets physical: preorder your Zander & Kevin Cannon hardcovers! 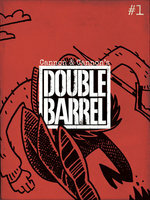 From the pages of the hit digital magazine DOUBLE BARREL come a magnificent pair of actual, physical books! Pre-order now from your favorite retailer, or grab the exclusive signed & numbered bundles direct from Top Shelf, and get ready for adventure in the spring! It's his own personal Hell. 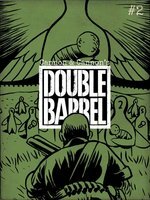 After the funeral of his estranged father, faded hometown hero Hector "Heck" Hammarskjöld finds himself the new owner of the old man's house... and inside it, a portal to the underworld! 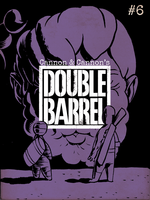 Award-winning cartoonist Zander Cannon (The Replacement God, Top 10, Smax, The Stuff of Life) presents his long-awaited first graphic novel: a story of memory, friendship, and regret, where the past is dead and buried... but not out of reach. Also available: a special deluxe package of HECK, for true heroes of the underworld! -- And Heck postcard cut-out action figures! 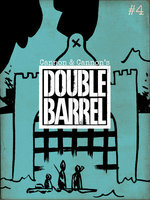 Available exclusively from Top Shelf for $29.95 and limited to 150 copies! 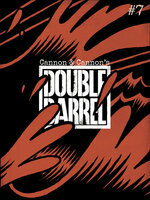 -- A 496-page hardcover graphic novel, 5" x 6.5"
You've never seen a Cold War like this. 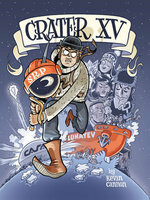 In CRATER XV, the follow-up to 2009's Eisner-nominated FAR ARDEN, Kevin Cannon weaves together an intoxicating tale of swashbuckling adventure, abandoned moon bases, bloodthirsty walruses, rogue astronauts, two-faced femme fatales, sailboat chases, Siberian pirates, international Arctic politics, and a gaggle of horny orphans. 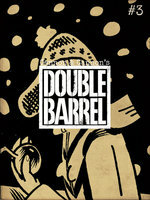 For mystery, thrills, and Arctic chills, set a course for CRATER XV! Also available: a special deluxe package of CRATER XV for Army Shanks' biggest fans! -- And Crater XV postcard cut-out action figures!